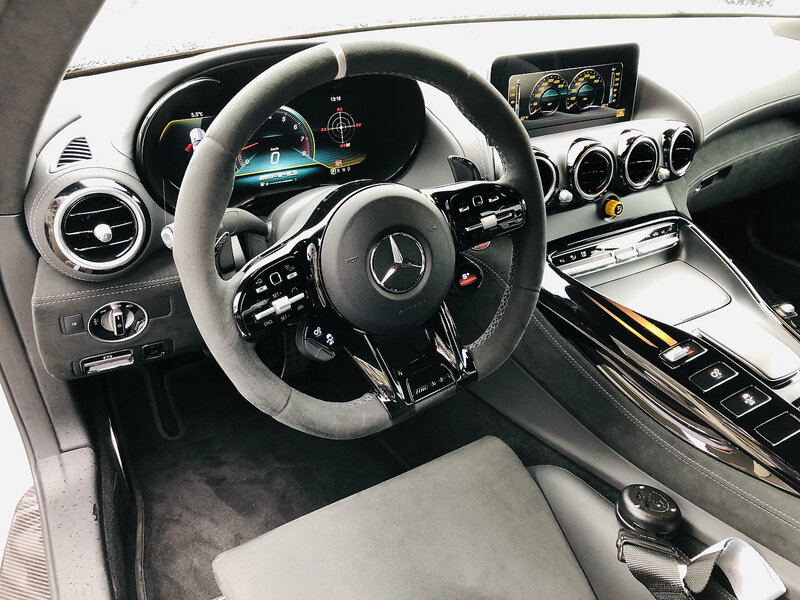 AMG’s current GT3 and GT4 motorsport experience has spawned the brand’s most potent ever road-going race car. 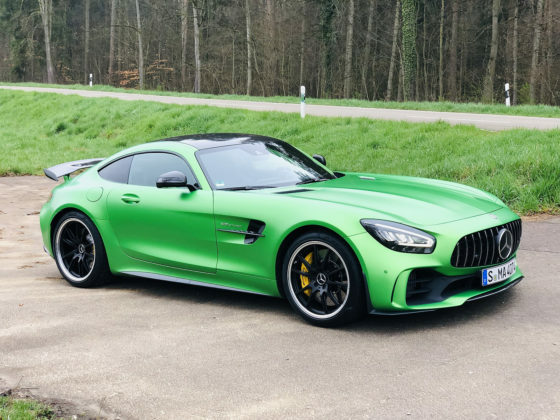 The GT R PRO is extremely competent and capable in the right hands, and conditions. As I stood in the rain, next to the limited-edition Mercedes-AMG GT R PRO lined up and ready to head out on the famed Hockenheim race track, my dreams of going fast where swirling right down the drain with the rain waters. 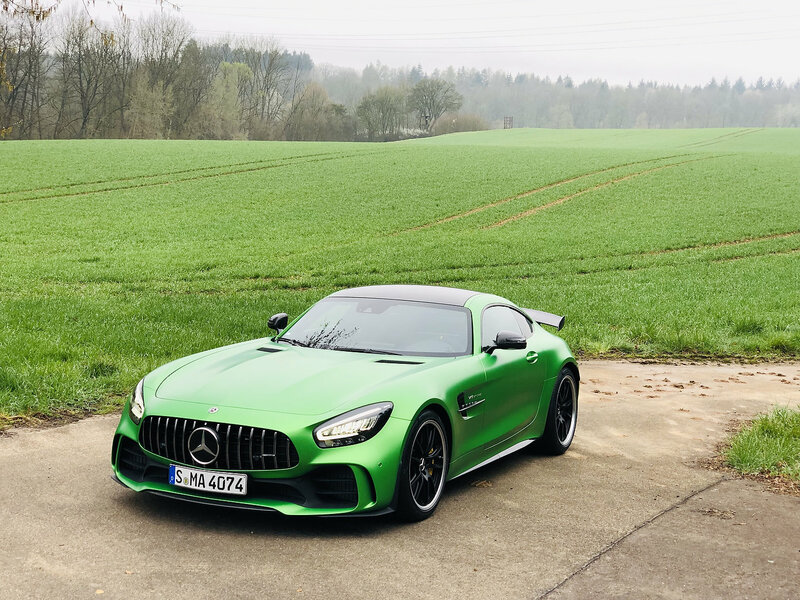 After spending a few hours with a 2020 Mercedes-AMG GT R, I was very much looking forward to properly sampling AMG’s latest creation. 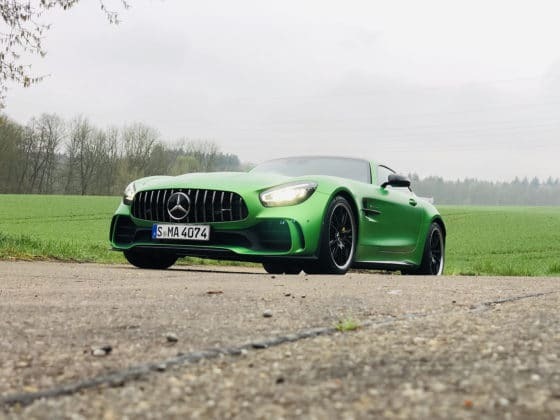 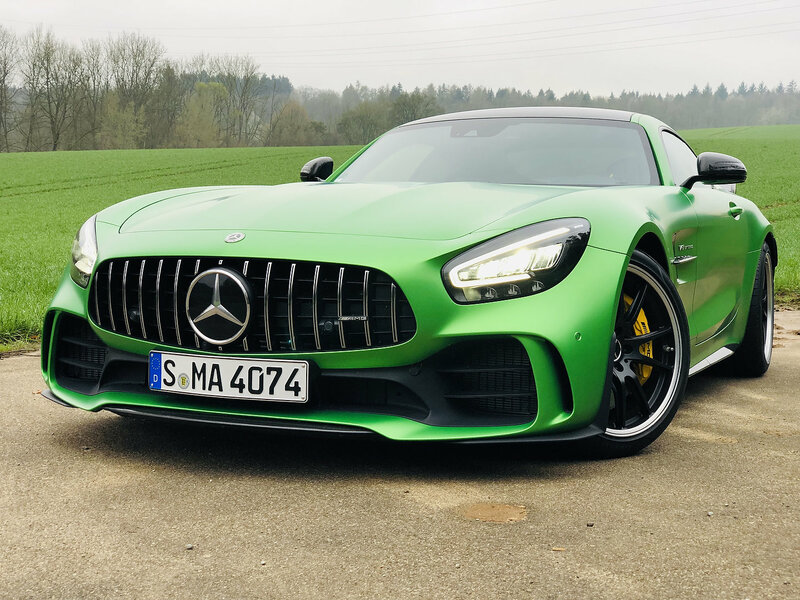 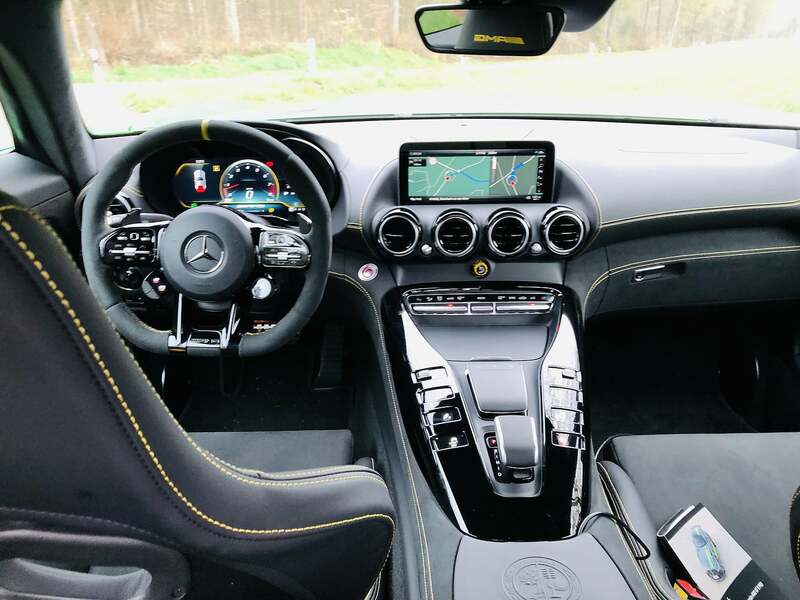 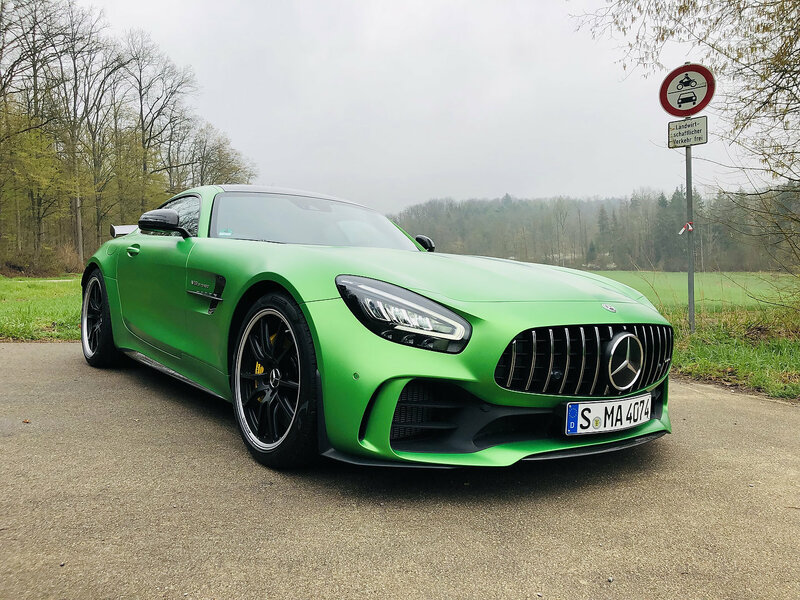 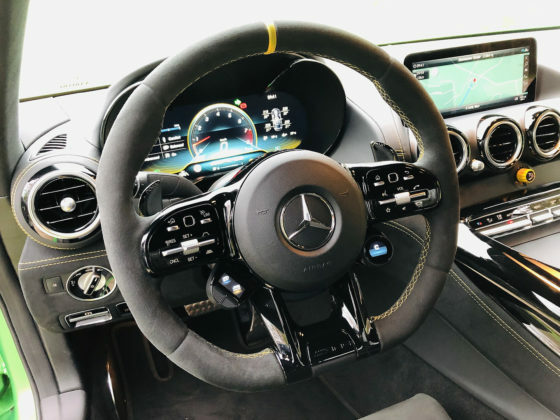 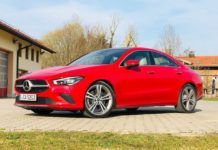 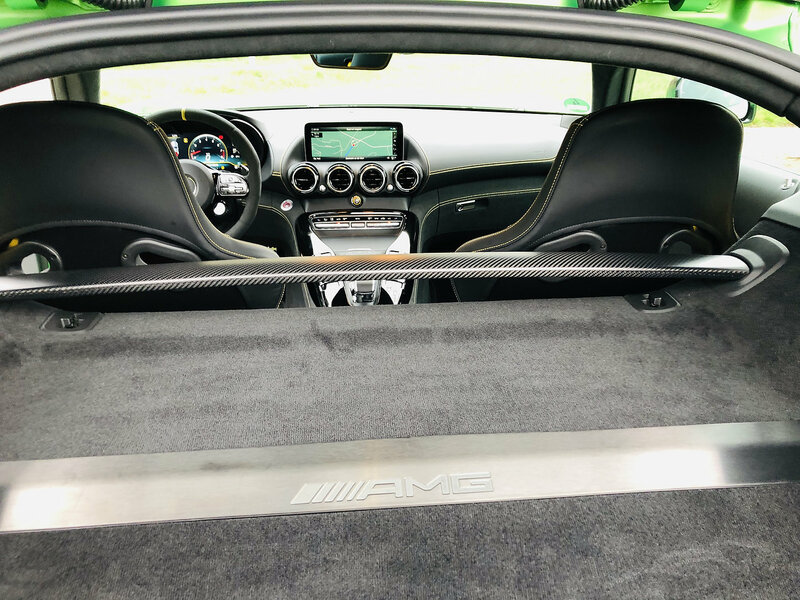 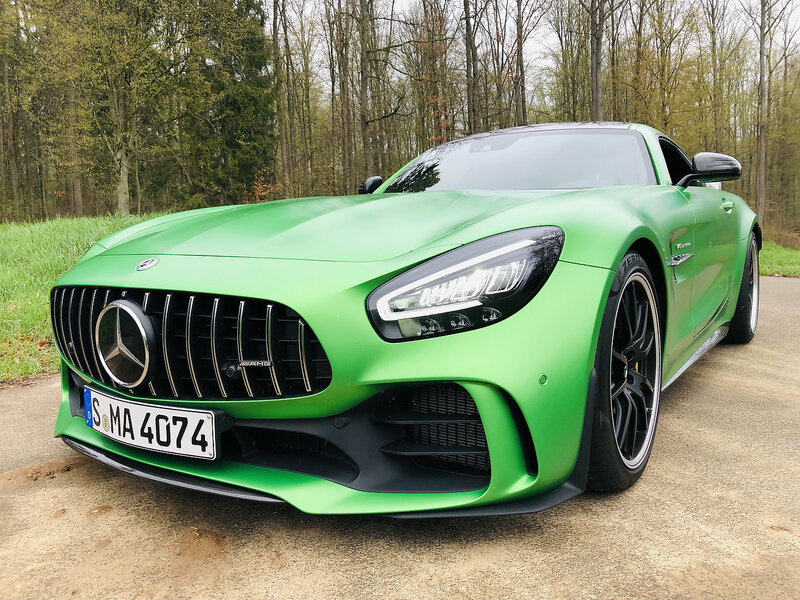 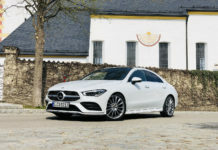 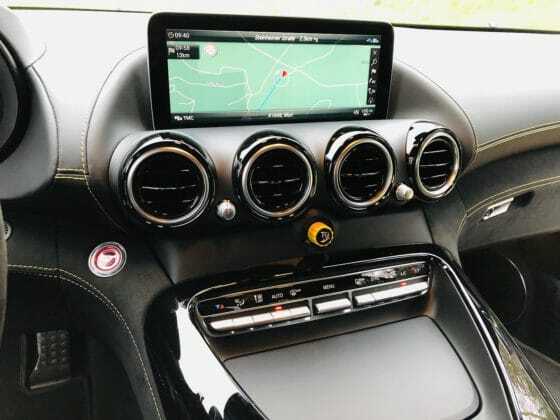 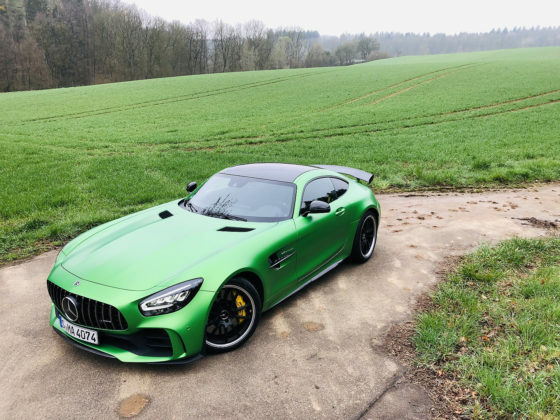 From Stuttgart, the skies were clear as we headed out in an AMG Green Hell Magno 2020 AMG GT R. My partner and I settled into the fixed-back race-inspired buckets and made our way north-west towards the Hockenheimring. 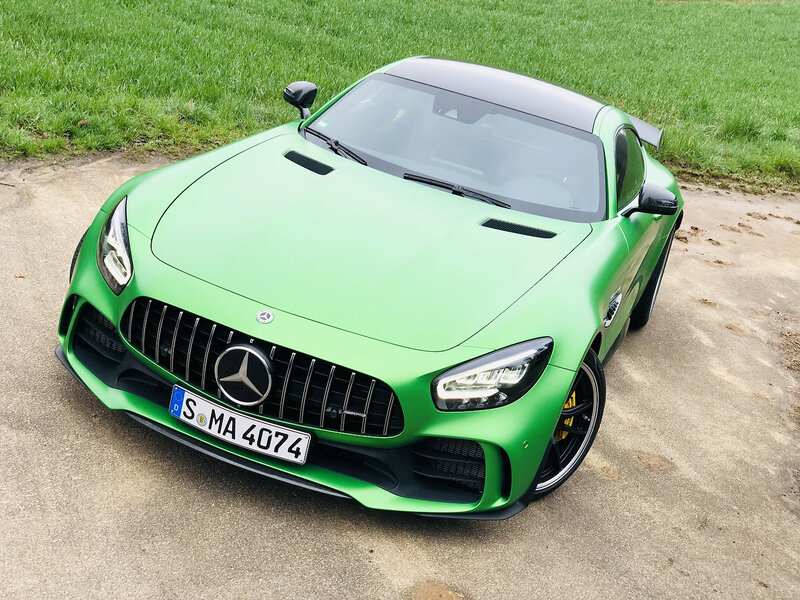 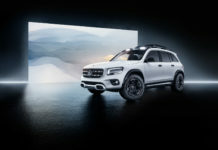 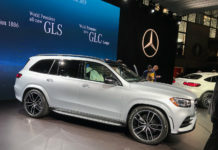 The power, the noises and the supercharged chassis had us salivating at the thought of finding out what the PRO can do when traffic’s not an issue. We did hit big-ish speeds on the Autobahn, but our enthusiasm quickly turned to disappointment. 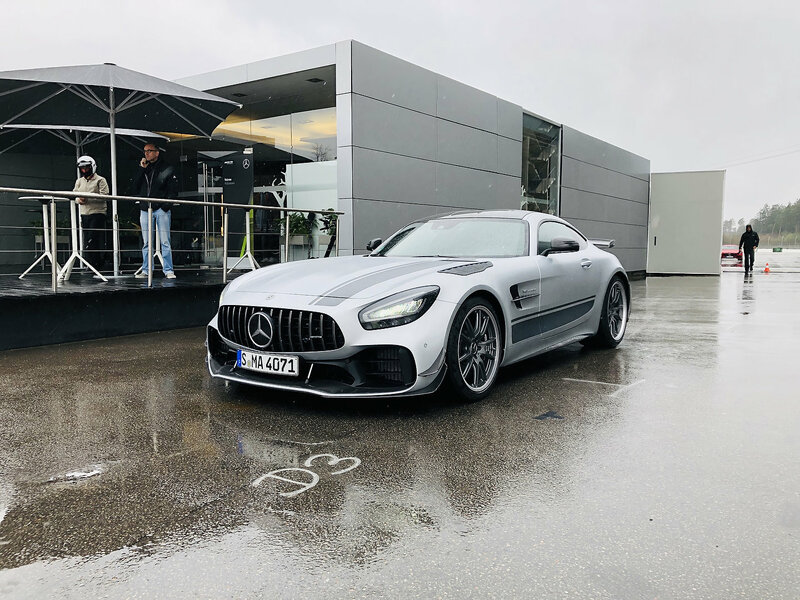 The grey clouds and accompanying rain quickly damped the mood. 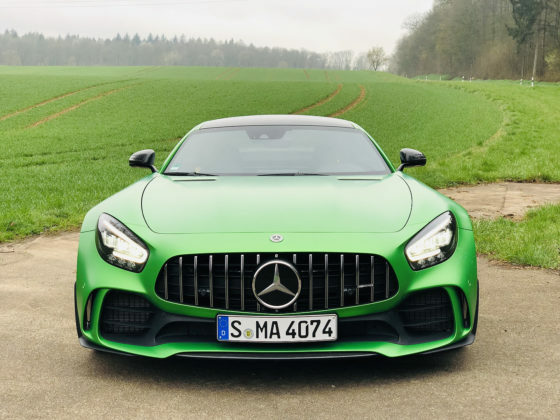 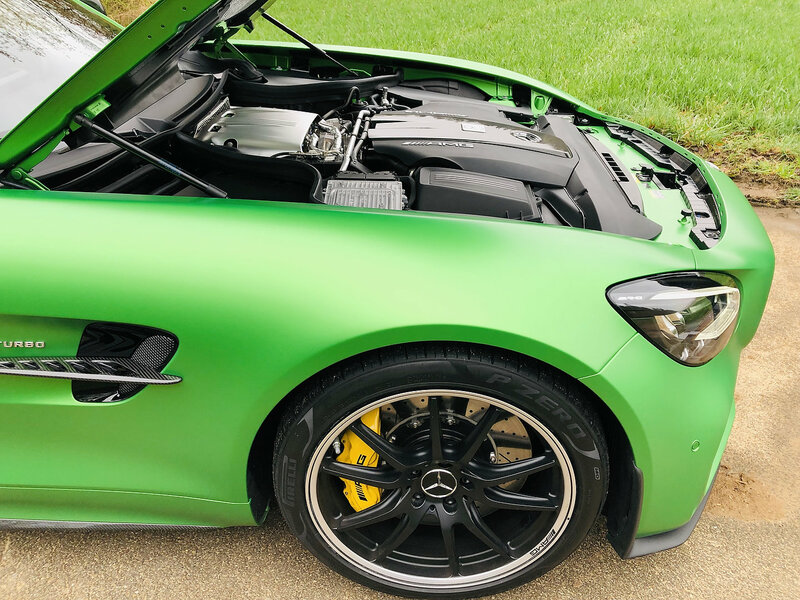 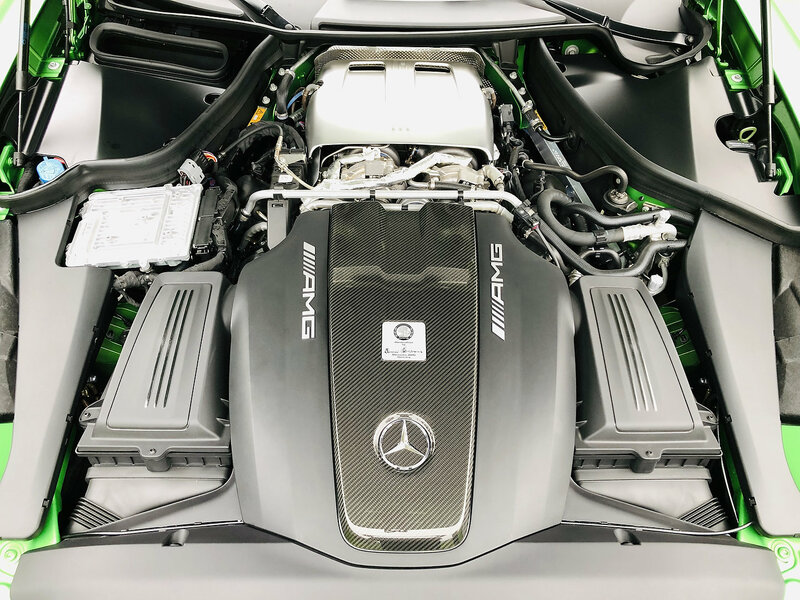 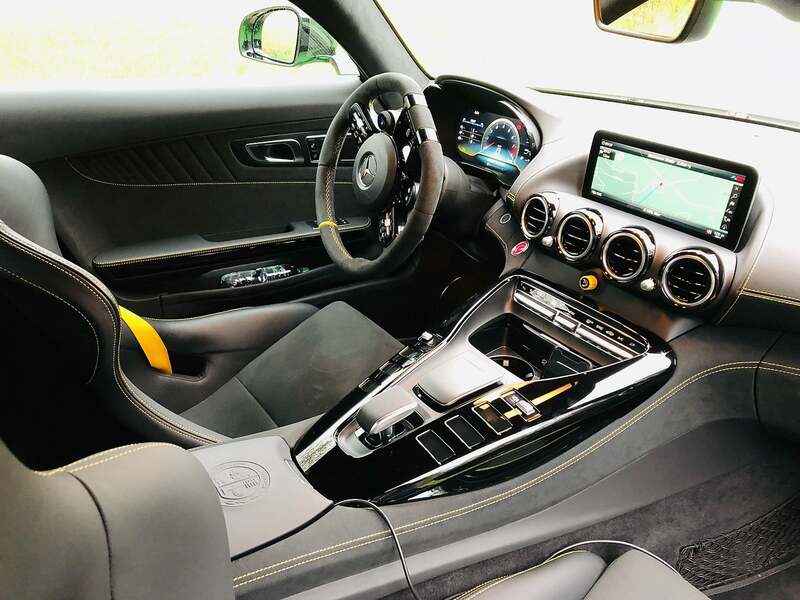 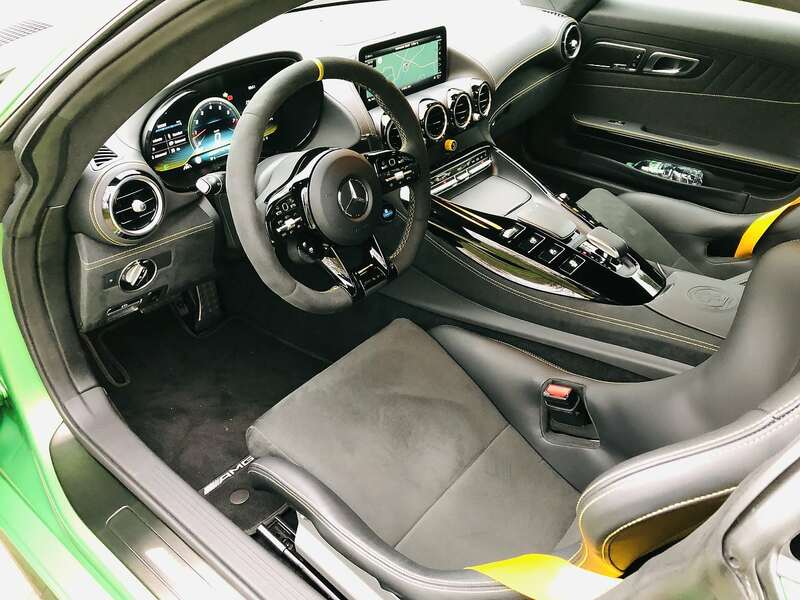 The 2020 Mercedes-AMG GT R PRO is powered by the same bi-turbo 4.0-litre V8 the delivers 577-horsepower and 516 lb.-ft. of torque from 1,900 rpm to 5,000 rpm – these numbers are identical to the GT R’s. The key difference is that all this power can be better exploited in the PRO thanks to a number of chassis and aero enhancements. 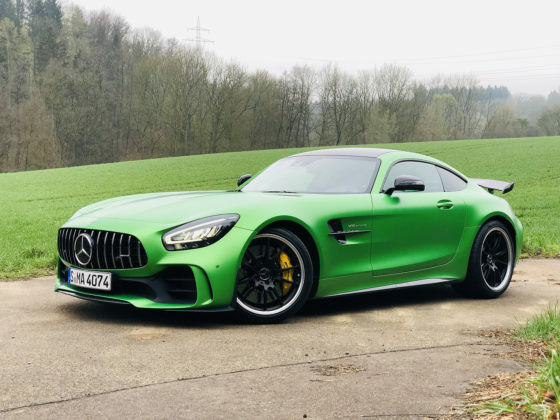 The GT R PRO sports an upgraded AMG coil-over suspension with adjustable spring preload length and manually modifiable damper compression and rebound. 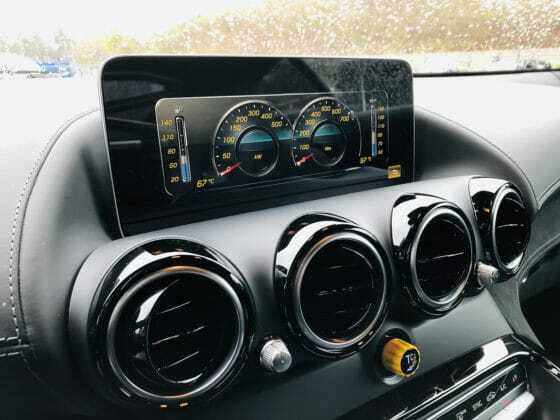 This is achieved via an integral adjustment dial on the damper and the compression rate is fixed separately for high-and low-speed movements. 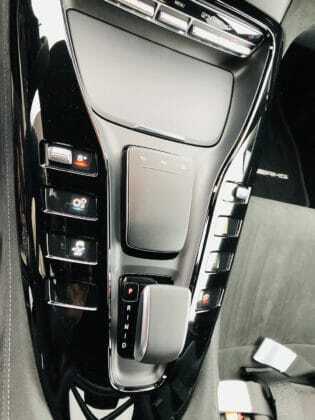 The front axle gains a variable torsion bar made of carbon fibre. 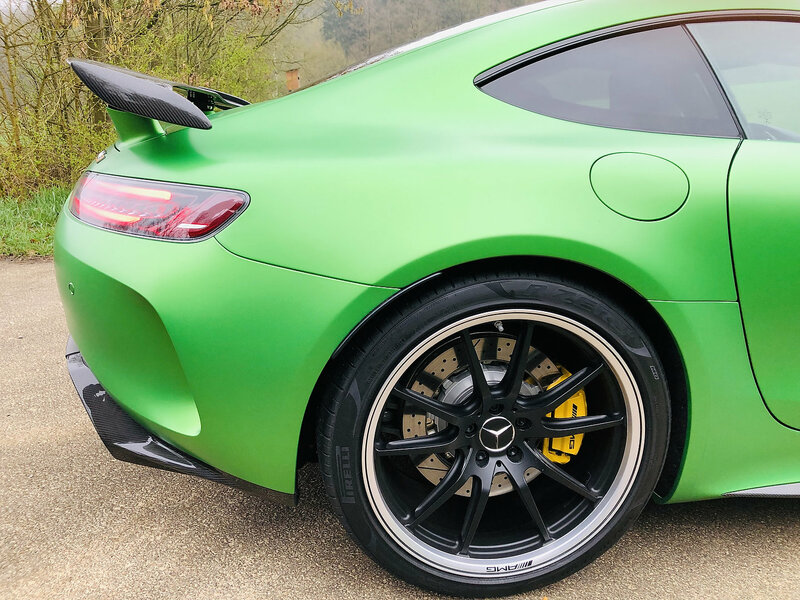 As well, the AMG GT R PRO is fitted with uniball spherical bearings at both the lower and upper wishbones on the rear axle. 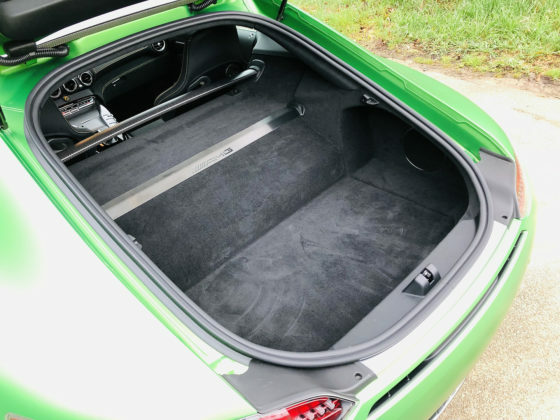 This setup present changes or movements in toe-in and camber under high loads. 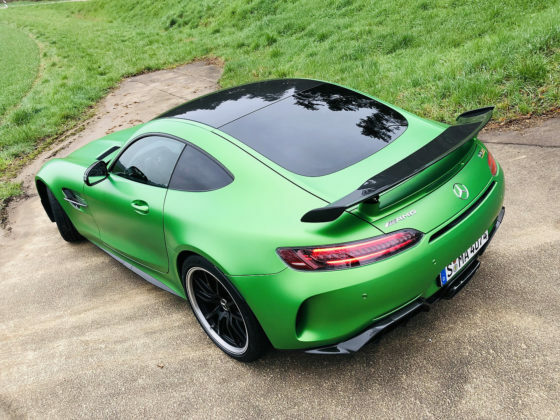 The most obvious physical changes are in aerodynamics. 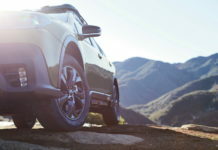 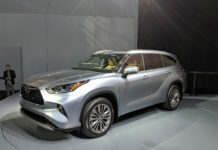 There are functional louvers over front fenders, a far larger and deeper front splitter, side blades on the edges of the rear bumper, a new rear aerofoil and a lightweight carbon fibre shear underbody panel which also increases overall stiffness by 7.5%. 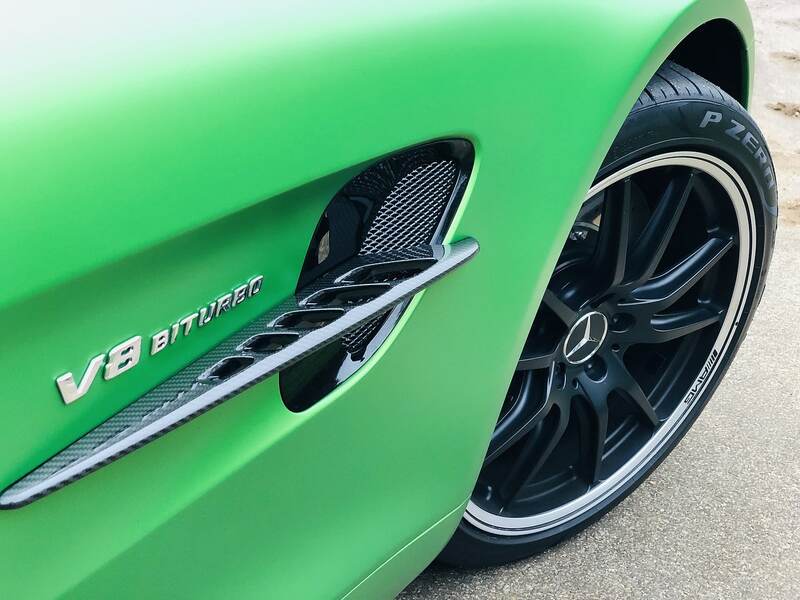 All told, all these bits will add 100kg of extra downforce over the GT R at 250km/h, most of it going to the front. 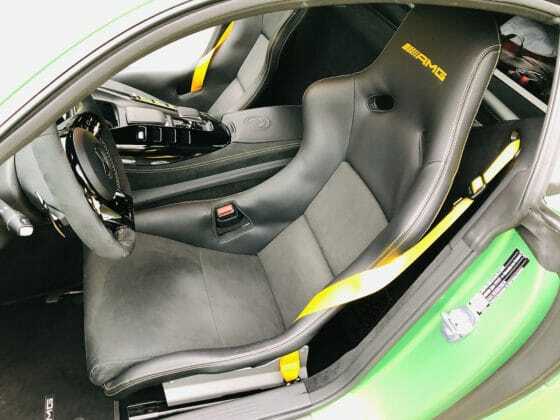 Big speeds were not in my future as I dawned my balaclava and my helmet before strapping into the GT R PRO. 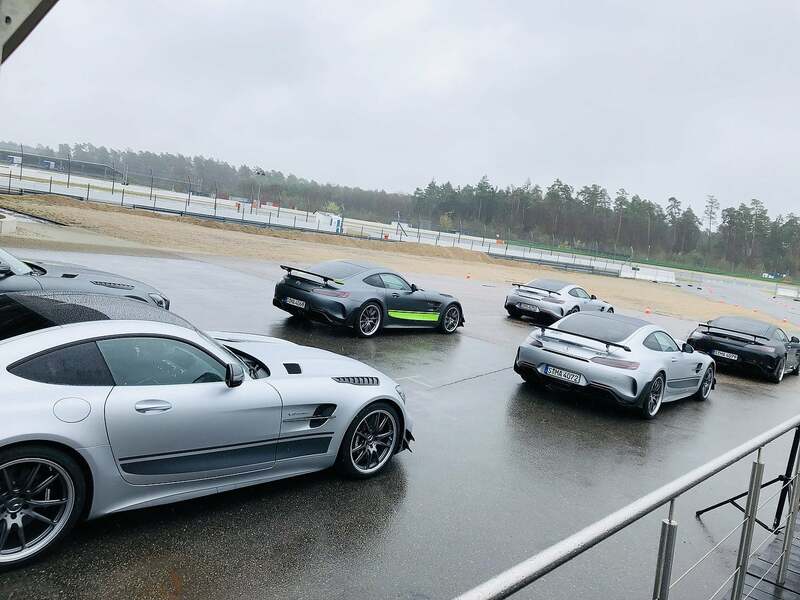 We were warned by Bernt Schneider before heading out that we were going to strongly abide by the wet-track racing line, which we did. 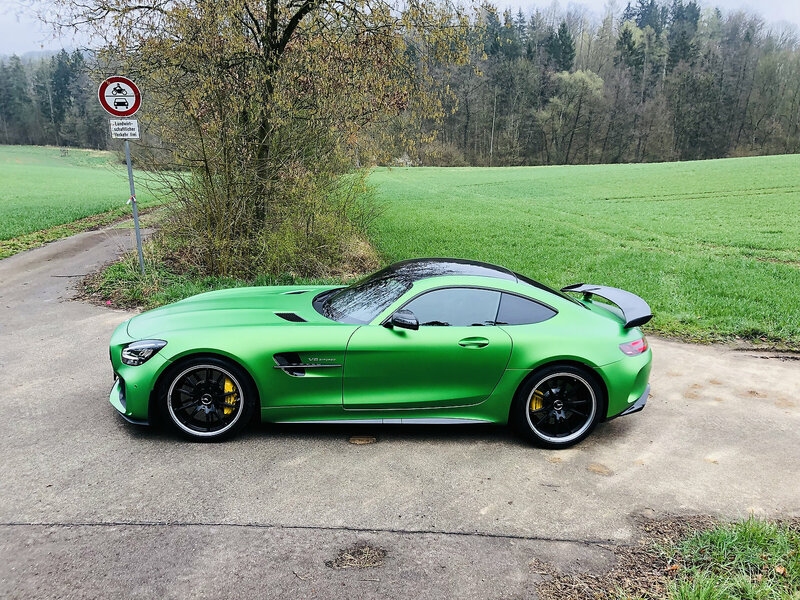 Sadly, desperately, I worked harder at keeping the AMG GT R PRO pointed in the right direction despite all driving nannies staying on. Blinking on the throttle meant the GT R PRO would kick out immediately. 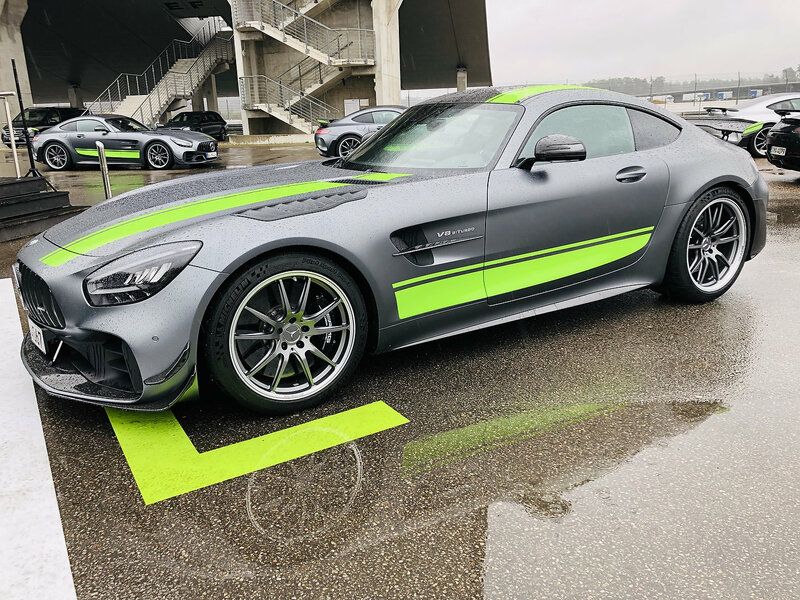 The desire to get going from an apex had to be tamed not only to avoid ending up in the bleachers but because our line was already quite a ways away from an ideal trajectory. 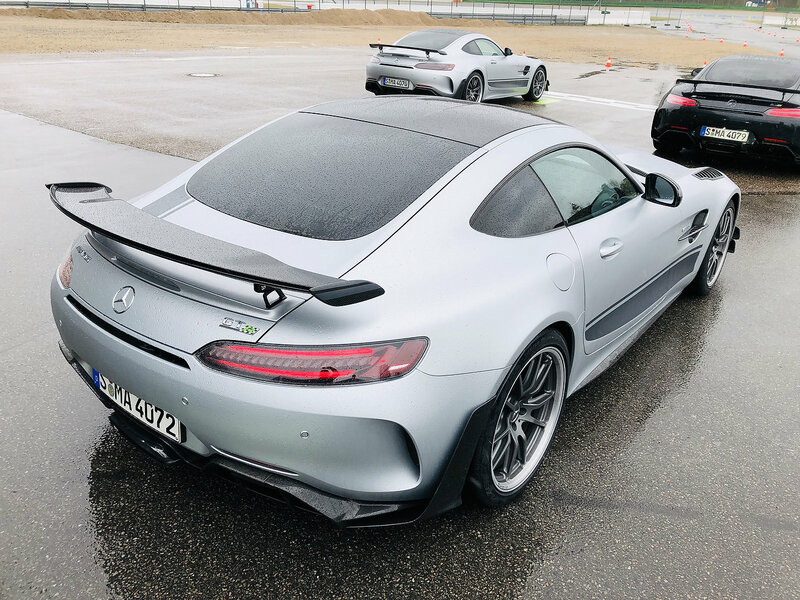 I unfortunately l garnered nothing more from this track experience over what I’d acquired from street-driving the GT R, and the GT C.
It is difficult to judge this car given my four laps in standing water. 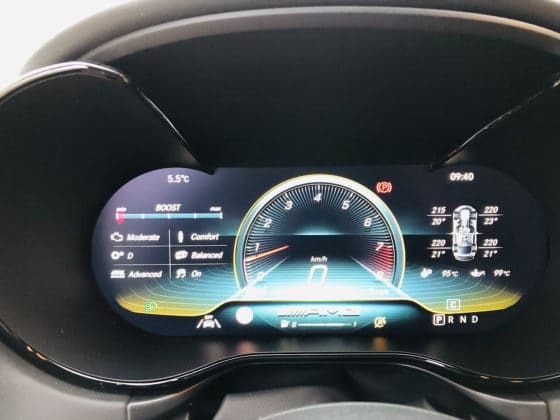 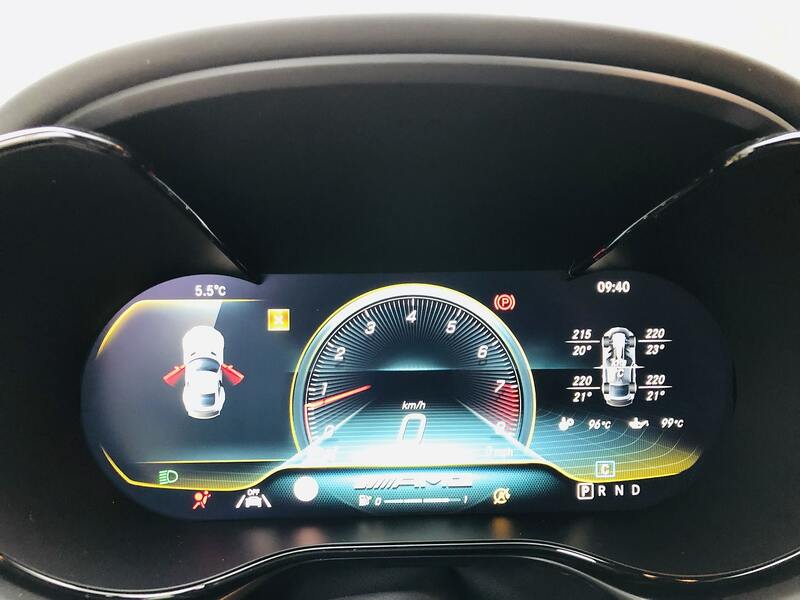 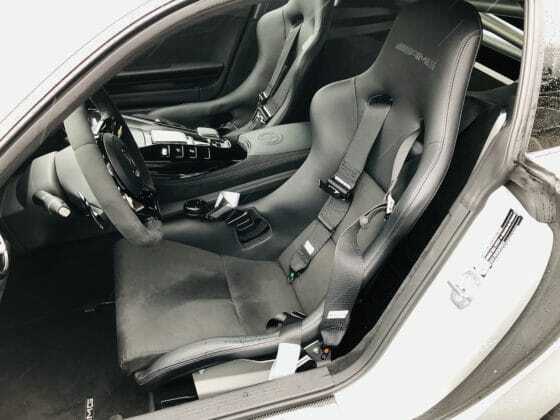 I did notice that the display GT R PRO was shod with Michelin Pilot Sport Cup 2 while the cars we drove on the track featured less aggressive Pirelli P Zero rubber – for this, I was thankful. The best I can surmise from my brief and wet experience is that Mercedes-AMG have a true contender to the Porsche 911 GT3 RS on their hands however I’m nowhere near able to stipulate on where it stands against it.